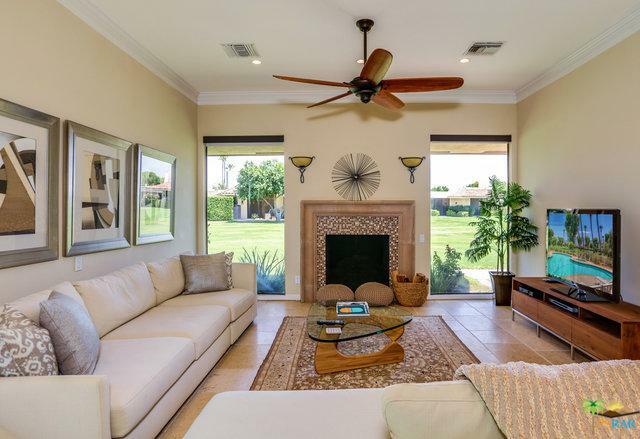 You'll love this remodeled Medinah Model in The Springs Country Club. This is an exclusive member owned private Golf & Country Club, perfect for year-round or seasonal living. 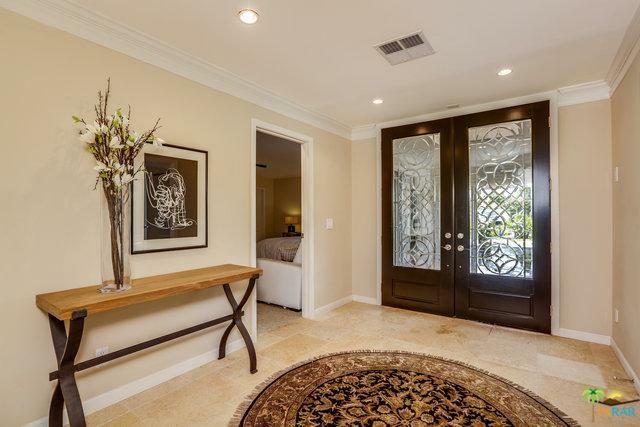 You're welcomed into the home with leaded glass front door and travertine floors. 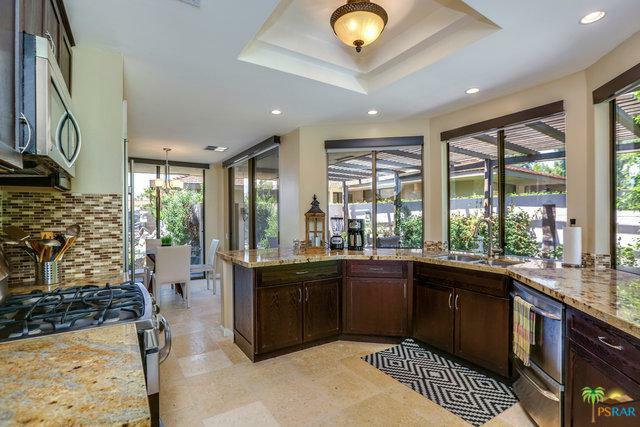 The large open space is quintessential desert style and opens onto a remodeled gourmet kitchen, complete with stainless steel appliances, professional refrigerator nestled in custom cabinets and granite slab counters. 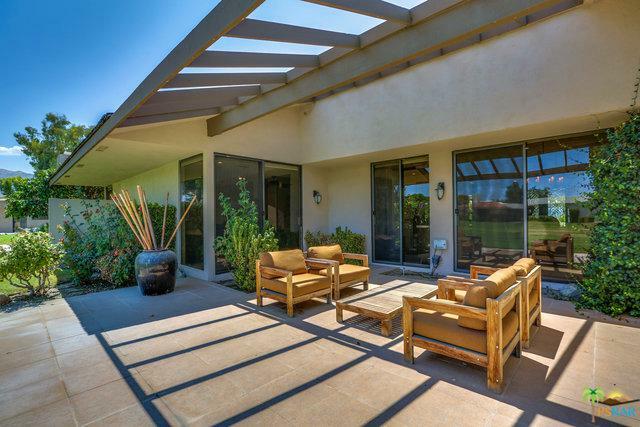 Outdoor space offers a private wrap around courtyard with lush spaces and bbq. Bedroom are well separated for privacy. The spacious master suite enjoys a completely remodeled bathroom plus sliding doors leading onto the back patio and greenbelt. Ready for you and comes furnished per inventory. Come see it today! Listing provided courtesy of Richard Enright of Berkshire Hathaway Homeservice.